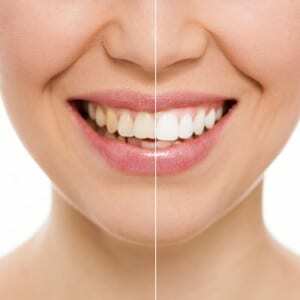 A smile makeover is the ultimate treatment for your smile with the aim of giving you the smile of your dreams. The cosmetic dental treatment can consist of a series of different procedures and the goal is a smile that is designed to your perfection. We take your preferences and ideas into consideration during the consultation stage to ensure we are clear about the desired outcome and able to recommend treatments based on your idea of the perfect smile. Your choice of treatments used as part of a smile makeover will largely depend on the current state of your teeth and the look you want to achieve. Treatment time and the cost will depend on the treatments you choose. A smile makeover literally transforms your smile to help you look and feel a million dollars. A gorgeous smile will not just make you look great, it will also boost your confidence and help you feel more comfortable and confident when meeting new people. Your smile is the best way of creating positive first impressions and a smile makeover will make sure people remember you for all the right reasons.